Tim Andresen first began DJing in 1986 and has come a long way since. Driven by the moments of inspiration, he is one to follow his dreams through equal parts of talent and hard work – more than most people realize. Tim is an artist who enjoys the writing, production, engineering and arrangement of his own records. His recent production portfolio includes work for Re:FreshYourMind, Younan Music, Ready Mix Records and of course his own labels What Happens and Savoir Faire Musique. Hello and welcome back. Over a year ago we launched The Sound Clique with an exclusive video interview with you (watch here) and now we are ending 2017 with a very special 1 hour mix from you. How has 2017 been so far for you individually? Tell us more about your new role in Culture Box? It’s been a year of development and changes and an extremely busy year for me. I have played many great gigs both domestically and internationally but my main focus this year has been to establish Culture Box further since I became new partner 12 months ago and the entire organization was turned upside down. I’m pleased to see what we have achieved so far and it’s been one of the busiest, if not the busiest year in the history of the club in terms of guests through the doors. We added further this year with DJ workshops, outdoor event etc. and fresh eyes on everything inside the walls and it’s an ongoing process that we’re still in. We had new and inspiring work relationships and lots of new artists and crews to do things in our venue. We also opened up a new bar next to the club. I only sporadically had time to do music productions but I have been working on a forthcoming album project here and there and also released a single on Savoir Faire Musique early on in the year that has just showed up in the deep house top 200 bestsellers of the year. By the end of 2017 I have involved myself more in the label work again and we have some truly great things coming up on both What Happens and Savoir Faire Musique in early 2018 that I’m excited to play for you. What are you planning for 2018 solo and club wise? One of my goals are to continue to build and push Culture Box and the ever growing Copenhagen club scene like I have done for many years already. With my new position as a co-owner of Culture Box, I have seen a lot of new doors waiting to be opened and together with the rest of the team, I’m ready to try and take things to an even higher level. We have plans coming up for sound improvements, new light installations, improved logistics and the best of it all – possibly the strongest and most interesting music lineup we have seen at any Danish club ever. A great mix of legends, first timers and people with fresh takes on the scene, the music, and how to present it to a crowd but still with respect for the great history of our scene. On a more personal level, I am eager to return to the studio chair and make new music. DJ-wise I am also going to focus more on my international career again although I will of course keep playing in my hometown too. I am always keen on challenges and love to play to new crowds so although there’s been a global focus on DJ residencies lately and it’s something on many people’s wish-list, it will slowly kill my inspiration if I could only play the same limited number of clubs locally. My continuos inspiration is really what drives my forward so I need to have the best of both worlds so to speak. As long as it’s kept to a reasonable level and not being weekly traveling. How did you compose this mix and why have you made this track selection? The mix contains tracks that I’m currently playing out as well as some of the tracks I have played the most during the year. There are so many talented artists around at the moment and it’s great to see so many new people getting into the scene and making a name for themselves production wise. But I guess it’s time for one last rant this year? I still think we could hope for a bit more variety in the big clubs and festivals with too many of the same few hundred DJs being booked on rotation. Many of which are not even the most talented artists around in my opinion. Stop, take a look around and ask yourself if it’s really necessary to only work with the same group of people over and over again. Re-invent yourself every now and then and make space for those who really have the music in their hearts and have something to deliver to the open-minded crowds out there. Let’s keep this scene interesting and alive. That is of course a totally different discussion, I know, and one to have in 2018. The 3 tracks you played the most during the last 12 months, and top djs/producers to have on our radar in 2018? 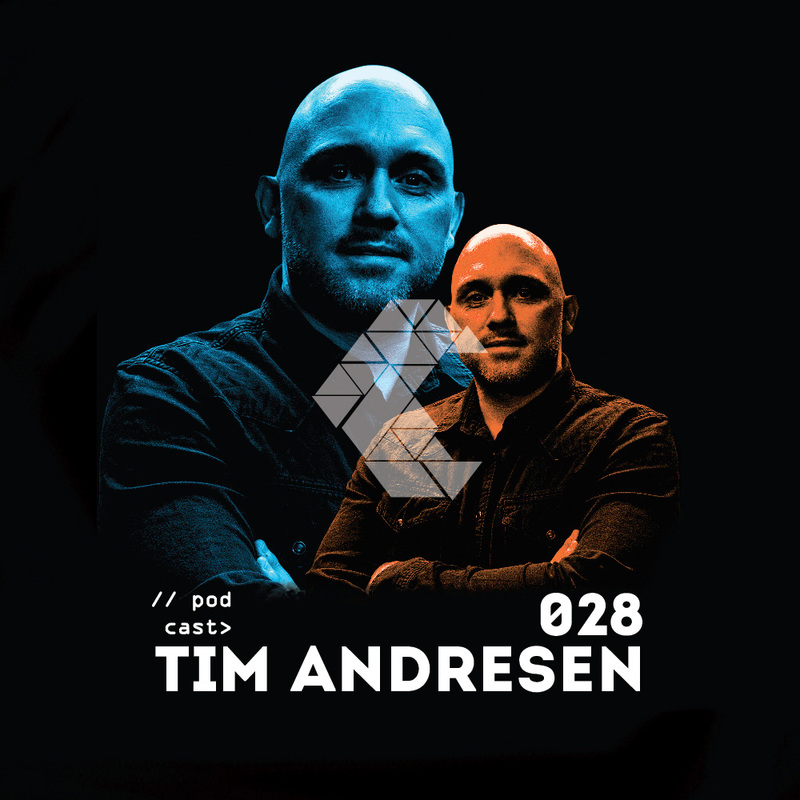 Connect with Tim Andresen on Facebook and SoundCloud.